– I hope everyone weathered the powerful energies of August as well as possible. I know for many the intensity didn’t disappoint. From the feedback I have received, it seems that most sensitives felt challenged and confronted by some of the personal and collective ‘stuff’ the energies dredged up. However, those who embraced their process through working with the energies were likely to have encountered some powerful revelations about self, new perspectives, deeper insight, and ways to move forward. On the other hand, those that focused on the negative may have found themselves struggling, often unable to maintain their centre and sense of balance. Even those of us who would not consider ourselves sensitives would have likely experienced a level of discomfort that, though largely unconscious, may have made us feel more irritable and reactive than normal. This month the strong energies still feel present. These high frequencies are becoming the new norm, and the more open we are to them, the more we will benefit from them. These energies that are pushing us to raise our frequency are designed to help heal so that we can become the true, shiny, divine beings that we all are at heart. It’s easy to look at the current situation in our world and believe that we are all heading to hell in hand basket. However, I believe these energies are like a universal failsafe mechanism that has kicked in, helping us to individually and collectively correct our trajectory. Humanity has explored the depth of our darkness; we know what happens when we allow some of the aspects of humanity to dominate others; we’ve seen what happens when we allow fear rather than love to lead. Experiencing pain and suffering has made us stronger and helped to deepen our ability to feel empathy and compassion for self and others. It is time now to heal…to integrate all that we have learned on an individual and collective level so that we can start to live in alignment with our hearts. The more of us who learn to stand in our truth and dare to express our deeper aspects with love, acceptance and humility, the better positioned we will be to live our true purpose. We truly are incredible, creative, loving beings at heart. Each of us has within us something to offer the whole – that is why we are here. As more people open to healing and celebrating their uniqueness, the more we will see loving, brilliant solutions surfacing in the collective. 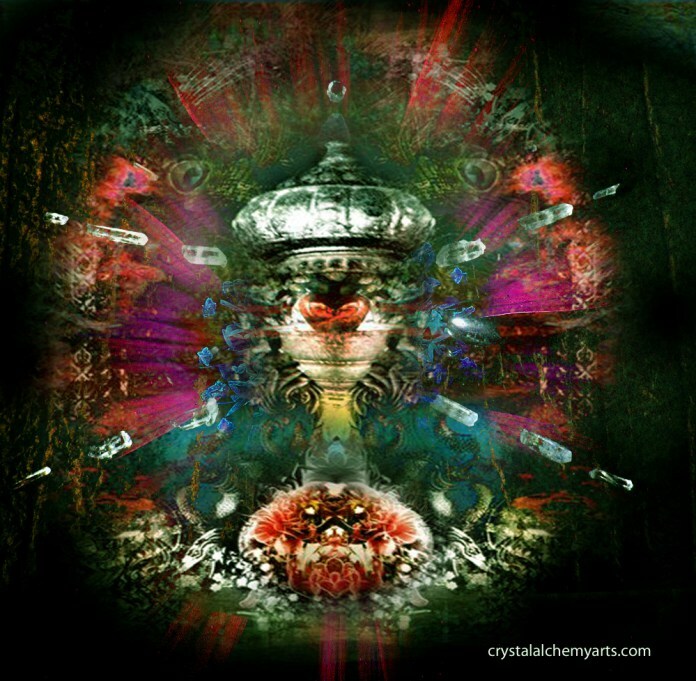 For those of us who have bravely looked within and discovered, owned, and worked to integrate both the extreme light and darkness contained within, this month will be very important in terms of crystallizing creations. This is a month where we will likely see the effects of our inner work manifesting more concretely in our reality. Those of us just beginning to open to these energies will likely discover that though real inner work can be uncomfortable, it has actually become much easier than fighting these energies. The days of pushing down ‘emotional stuff’ and successfully soldiering on are over. These energies are all about movement, expansion, and flow, not rigidness, contraction, and stagnation. It is time to release the backlog of stale toxic energies most of us have buried within. In order to release we must acknowledge, allow, and feel the uncomfortable stuff…and the more we do the lighter and clearer we will feel. It is important to remember to be gentle with ourselves. This is not a competition. We all have our own personal healing process that cannot be forced or rushed. Self-love is at the heart of this process. Only once we are able to fully sit in our hearts can we truly operate from a place of compassion, integrity and authenticity. The more time we can dedicate to knowing and honouring ourselves the more we will be able to appreciate and express the gold we each contain within. Make sure to take time this month to devote to self-care. I suspect that these energies will continue to test us all this month, ensuring that we can remain centred in our hearts, even when faced with challenges. The important thing will be to not focus on whom or what is creating the disharmony in our lives, but on why we have attracted these issues. In other words, the key is not trying to fix the problem on the outside, but on the inside. The better we get at being able to shift feelings of frustration, irritability, or victimhood the less we will ultimately need to create these situations. I know personally awareness is very helpful, as when I face these challenges from the perspective of them being tests, it is much easier not to get caught up in the external dynamic. Carnelian: I chose carnelian for its ability to support strength and courage, as well as for its ability to shift feelings of victimhood to healthier, more empowering perspectives. Rhodocrosite is another one that fits well with this month’s energy for its ability to help heal the inner child and promote feelings of self-love. Other heart focused crystals like rose quartz, kunzite and emerald would also be helpful. Danburite is another heart focused stone that I feel deserves special mention this month as it supports deep inner listening from a curious heart aligned perspective. It also encourages seeing from a higher perspective. Magano Calcite is another heart stone I will probably be keeping under my pillow this month. It has a nurturing, comforting energy that can help us face uncomfortable inner feelings. Citrine could also be useful for its ability to promote inner clarity. It also promotes self-expression and individuality. Grounding stones: My personal favourite grounding stone for intense energies is smoky quartz as it also absorbs stress. For those who feel that their personal energy is being compromised by external forces, super-protective black tourmaline is perfect. The crystals described here are suggestions of stones that support the integration of loving energy. However, there are other stones that could be substituted for the ones above. Work with what feels right for you. If feelings surface that feel too much, please never be afraid to seek professional help or advice.